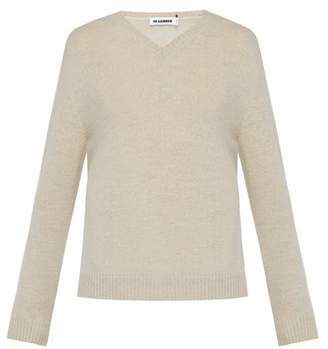 Jil Sander - Jil Sander's beige sweater is a continuation of the label's pared-back aesthetic and will make a versatile layering piece from season to season. It's crafted from luxuriously soft wool to a V-neck silhouette and falls over the frame in a slender fit finished with ribbed edges. Fits true to size.